 © 2016 Triple Helix Creative, LLC. All rights reserved. I recently had the opportunity to do an interview with a local intrapreneur, Jake Johnson, bartender at the wonderfulSmoky Oak Taproom, and partner at Virgil Kaine Lowcountry Whiskey Co. The Southern Roots of the whiskey go back to old-time railway conductor, Virgil Kaine. I walked into the Smoky Oak Taproom, macbook in tow, and throw my disheveled heap of "instruments" on the bar. Jake is here, as we discussed at our last meeting (where he recommended the now beloved to me, Medusa Stout). He's serving patrons, chatting, making drinks, and intermittently looking over at me, keeping tabs on me to see when I'll be ready to start the interview. This type of juggling comes with the territory of being an intrapreneur. I like the idea that intrapreneurs are realists with dreams. Jake and I eventually get down to discuss the details of his curious position. Jake is current parnter and originator of Virgil Kaine Lowcountry Whiskey Company, a 5-year-old endeavor, 4.5 years of which he's held down a full-time job as the bartender at Smoky Oak Taproom. I ask how this is viewed by the owner, and Jake smiles and says Rick has full knowledge, and is even generous enough to allow Jake space necessary to "get the name out there". I find out that the owner is also entrepreneurial (it seems to be the only way a set-up like this can work with full transparency). They have a great friendship and Rick offers great support, even though he has nothing to gain financially (at least directly; indirectly it would seem intrapreneurs are great time managers, diligent workers, endowed with sharp people skills, and therefore, great bartenders). He gives his schedule months in advance… The position requires this, so he stays on top of planning. He ensured there was no conflict of interests in terms of preferential scheduling, regardless of travelling. He made it happened (even when it sucked). (Currently) No wife, kids, girlfriend, roommates, or dog; it makes his role easier (but he dreams of these things happening in a more neatly scheduled future). An independently wealthy partner plus a creative agency with long social media arms makes his job(s) possible. He seeks to bring in regulars and good business to the Smoky Oak Taproom, a sure way to create long-lasting harmony with his boss. Jake Johnson is a full-time employee of the Smoky Oak Taproom. He says money is what motivates him to do both. He hopes for a future with Virgil Kaine, and seeks the oft sough independence that may come with it (intrapreneurs are cautious entrepreneurs). This dream is number one on the list of manifold responsibilities. This prioritization is the key to his constantly growing time-management skills. In his own words, " I could really get screwed if I wasn’t diligent about comes first. Virgil Kaine comes first. Paying bills comes a close second." Jake says his lowest point was a conglomeration of missing out on personal stuff that he wanted to do because he's too busy doing job #1 or #2 insteady (on any given day). As a sidenote, it actually seemed difficult for Jake to come up with a low point, something that indicated to me that he tackles most endeavors with an all-in optimism. Jakes says a great (and recent) high point was when Virgil Kaine Robber Baron Rye Whiskey won a gold medal at the 2016 San Francisco World Spirits Competition held in March. Virgil Kaine was selected from among 1,850 entries by a panel of 39 experts in the spirits and cocktails industry. It was quite a prestigious award, and galvanized his own commitment to believe in and push Virgil Kaine as a high-quality product. A Web Ideation Firm. Manage your entire web presence, not simply your website. Love thy client.